Cordon Constructors and Realtors Pvt. Ltd is one of the leading real estate developers in Trivandrum offering 2, 3 and 4 BHK apartments across the prime real estate locations in Trivandrum. 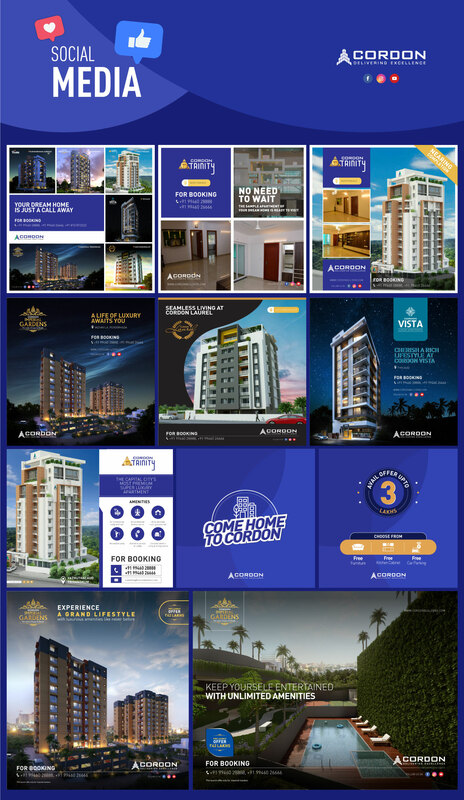 When Klientas was engaged to undertake the digital media support for Cordon, the brand was already a known real estate developer across its target audience. However, the challenge we faced was the lack of consistency in communication and since late 2018, we have been working to bring in a standard of design, typography and branding.